Mushrooms come in many shapes, colours and sizes, that much we all know. It is these aspects that provide really the only way for the amateur mycologist, who doesn’t have access to sophisticated DNA sequencing techniques or microscopes to look at the tiny differentiating details of the spores, to go about the troublesome business of identifying their finds. However, neophytes embarking on their first steps into the fascinating world of mycology quickly discover two things. The first is that the forms of the fungal fruiting bodies are never fixed. They begin initially when the hyphal cells first fuse to form a tiny primordium, described poetically by Eugenia Bone in Mycophilia as “a dense little nubbin of preformed mushroom that (in many cases) contains all its cells”. 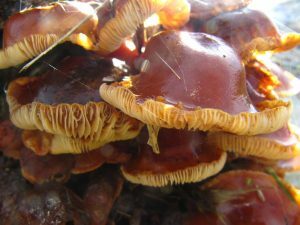 Often within a matter of days of the mushroom fruiting bodies appearing, they will have rotted back down into their substrate or been chomped on by any of a variety of animals. 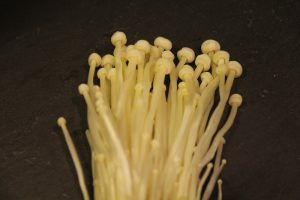 During this brief period of fruition, the mushroom itself can go through a diverse array of forms, as described in an earlier post on inkcaps , many of which go from ovoid to bell shape before the caps open up like an umbrella then slowly melt away from the edges and disappear back to whence they came. 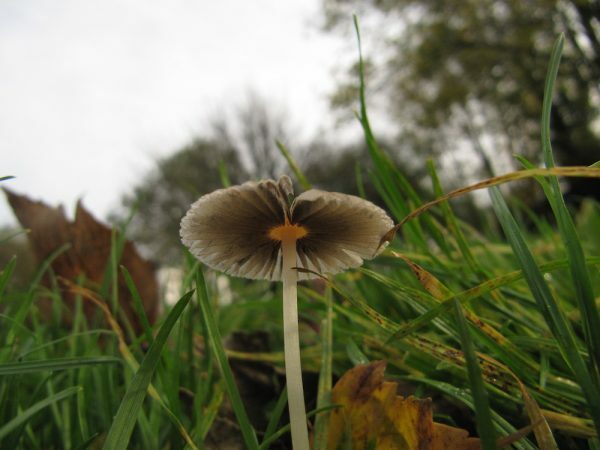 The second difficulty in identification is that a good proportion of fungi species do tend to look remarkably similar, no less so than that sizeable field known as “LBMs”, or Little Brown Mushrooms. This handy non-technical term encompasses all those small and nondescript varieties that pop up across woodlands, pastures and gardens alike and whose colours range from dark ochres to muddy greys, duns and chocolates. You could spend hours trying to pinpoint exactly many of the species amongst the LBMs, and so most of tend not to bother. If you are into photography, there are certainly more aesthetically pleasing types to attract your focus. If you are looking for candidates to eat, even those among them listed as edible are often too insubstantial to fill an omelette. And beyond showing off our arcane mycological knowledge, how many of us really need to know the difference between a Fairy Parasol (Coprinus plicatilis) and a Hay Cap (Panaeolus foenisecii)? This apparent ordinariness is presumably the reason that the ubiquitous Velvet Shank (images above); the Latin name Flammulina velutipes is much more flamboyant. 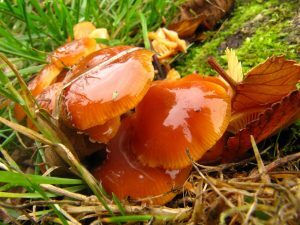 It has been historically overlooked as an edible in the UK – although with its glistening vivid orange cap, it might be a little dismissive to describe this attractive but unassuming mushroom as an LBM. Nevertheless, it gets no at all mention in early British books such as R.T. and F.W. Rolfe’s The Romance of the Fungus World (1925), John Ramsbottom’s Edible Fungi (1943) and E.M. Wakefield’s The Observer’s Book of Common Fungi (1954). 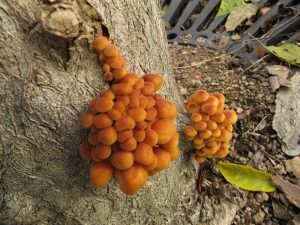 Flammulina velutipes seems to go under a large number of alternate common names other than Velvet Shank (and variants such as Velvet Foot and Velvet Stem) or enoki. Stamets mistakenly translates the Japanese as “snow peak mushroom”, although the Japanese characters actually read as “lotus tree mushroom”. 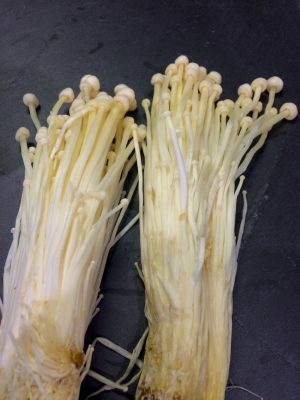 Elsewhere you might have seen them tinned or jarred in Chinese supermarkets as Golden Needle Mushroom, Golden Mushroom or sometimes Lily Mushroom. The common English names as well as the Latin one, provide a good pointer towards its identification in the wild, namely the fuzzy stem (“velupites” means “velvet foot”). This naturally averages between 3-5cm in length and is yellow at the apex where it meets the cap, but gets tougher and turns to a darker brown, almost black, towards the base, and there is no ring around it. 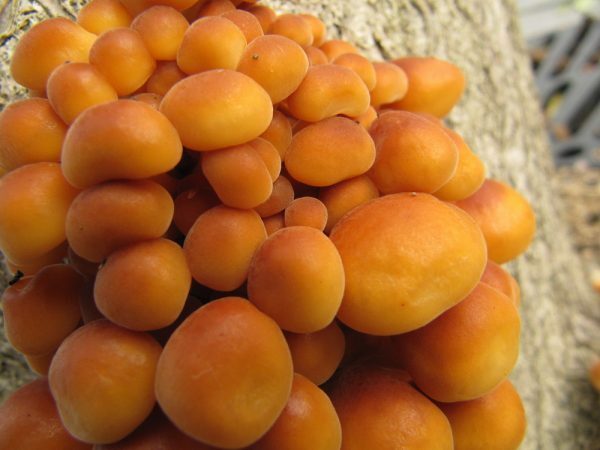 The cap is distinctively smooth and sticky (“viscid when wet” as Stamets describes it), ranging from 2-10cm in diameter (various sources differ on this, and it is generally a lot smaller) and yellowish to orange-brown in colour, while the gills are pale yellow. As we have seen, the exact shape however is pretty mutable according to temperature, light and oxygen levels. Another distinguishing feature is that it grows in dense clumps, and it is relatively commonly found rotting down the stumps, trunks and fallen branches of dead hardwoods such as ash, beech and oak. In fact, it is a fairly easy fungi to identify, but as ever, one must advise caution if you are thinking of the kitchen table, as there might be some confusion with a few other species, notably the Funeral Bell (Galerina marginata). The main difference is that the stem of this deadly poisonous species is thicker and more fibrose, and has a delicate pale ring around it that often falls off with age. To be 100% sure, take a spore print: the spores of Velvet Shanks are white; those of the Funeral Bell are rust-brown. 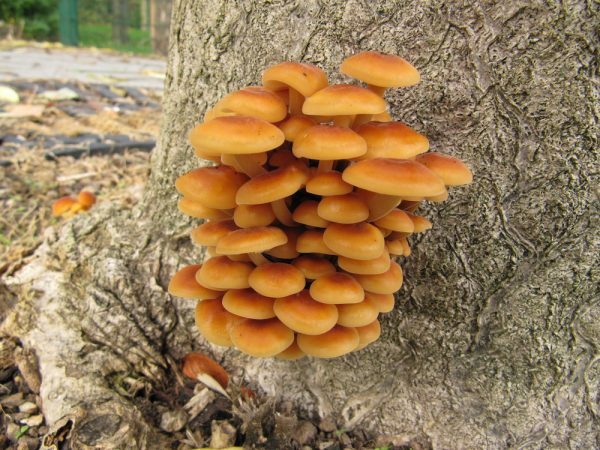 A host of medicinal benefits are associated with the Velvet Shank, and a lot of research has been conducted recently on its antitumour and immune system-boosting properties. It has a delicate taste, and provides a perfect addition to Asian-style soups and stir-fries, so count yourself lucky that if you can’t find it in the wild, it is no real ordeal sourcing it in its cultivated form. There are now plenty of growers in the UK and you might even want to try having a go yourself with one of the many home-growing kits on the market . 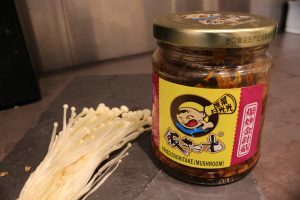 All of these elements combined make December’s Monthly Mushroom not only one for the winter months, but a tasty and incredibly healthy delicacy that can be enjoyed all the year round.